Glacier Park Foundation is an organization comprised of former and current Glacier Park employees and visitors who have a deep love for Montana's Glacier National Park. 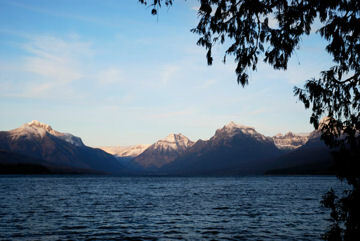 We have a special interest in the history, traditions, and historic visitor facilities of Glacier National Park. Glacier from the Inside Out is a collection of the "best of" stories from GPF's The Inside Trail. The book is available for purchase from www.lulu.com/spotlight/glacier75.